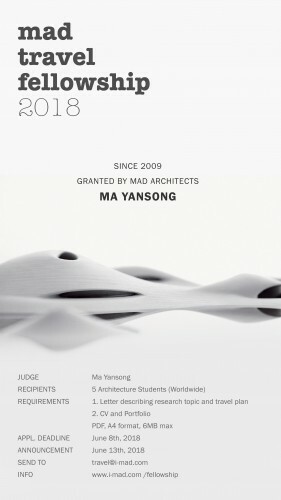 The “MAD Travel Fellowship” was initiated in 2009 by MAD Architects. 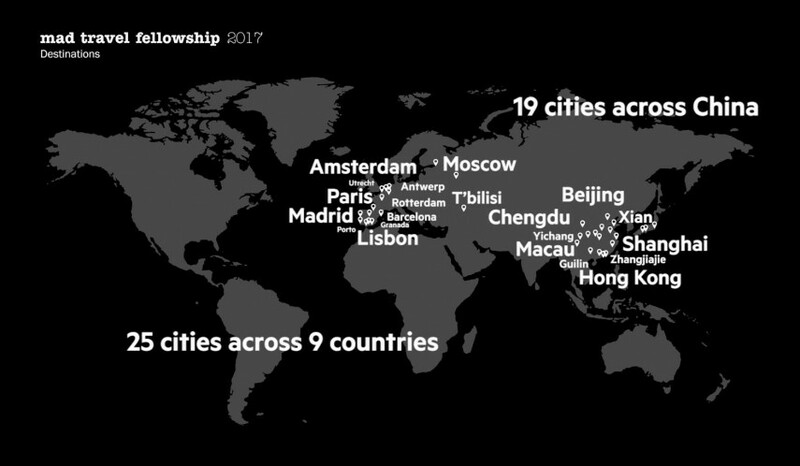 The program has sponsored 45 students to date, supporting their travels so that they can freely explore the places and spaces that fascinate them, meet with architecture protagonists, and engage in new creative and cultural communities. 3) Portfolio that presents a curated selection of your work. The naming format of your file (and email subject line) should be:school_major_graduating year_name.pdf.